​Leicester City manager Brendan Rodgers believes winger Marc Albrighton could play again this season. He would be welcome return for the Foxes, as the former ​Aston Villa man had become an influential figure at the King Power Stadium since arriving in 2014. Albrighton had been impressive this year before sustaining the damage, netting two goals and notching three assists in the ​Premier League. 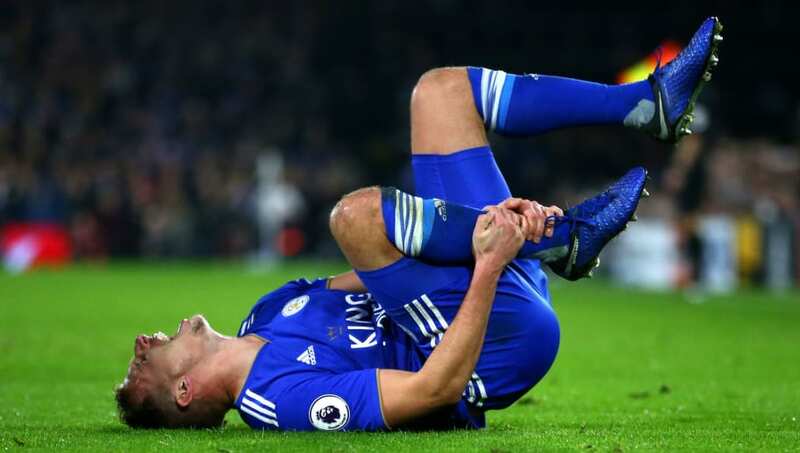 Despite the initial diagnosis looking decidedly negative for the England Under-21 international, Rodgers has now declared he is optimistic that Albrighton will return before ​Leicester's final league game at home to ​Chelsea on May 12. Speaking to the ​Daily Mail, the ex-​Liverpool boss said: "I think he will be available at some point. He has worked very, very hard during his rehabilitation and he is back out training again so we are hopeful that before the end of the season he will get some game time. The Foxes' game against ​Bournemouth on Saturday comes too soon for Albrighton, with six more fixtures to come for the 2016 champions before their campaign finishes. They currently sit in tenth position in the table, just three points off of ​Wolves who occupy the final Europa League qualification place.